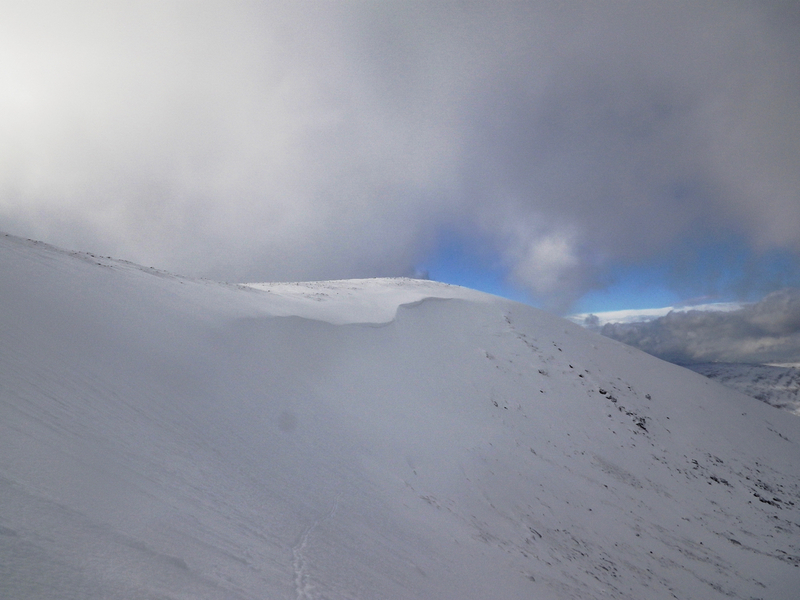 A brief clear spell – cornice development on North aspects. 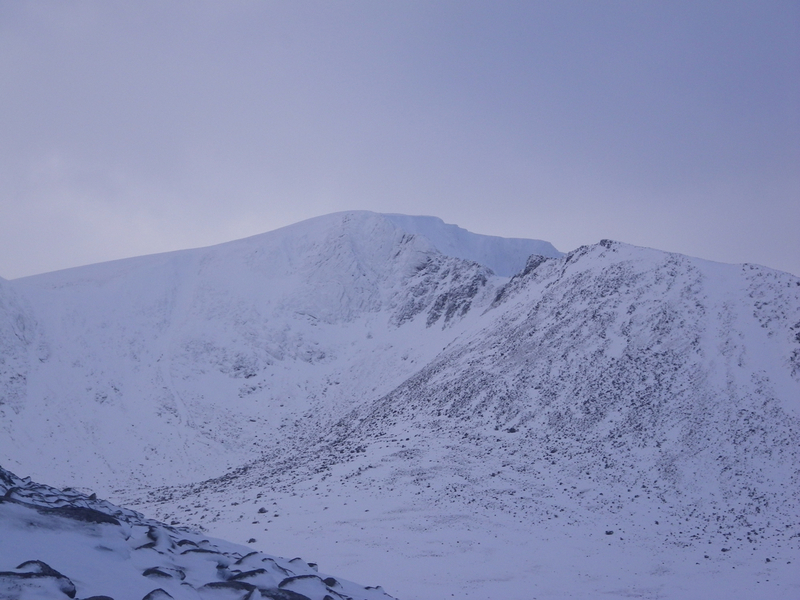 Looking into the sneachda from the Chais ridge – – photo taken lying on the ground as it was very windy. 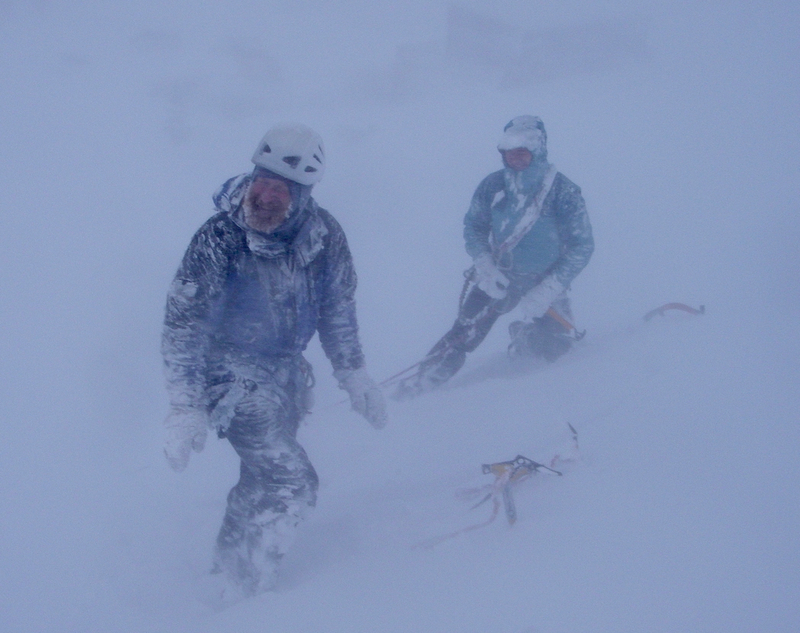 Andy Nisbet happy in his element – he will be missed by us all. Great photo of Andy N, a legend in his own time.